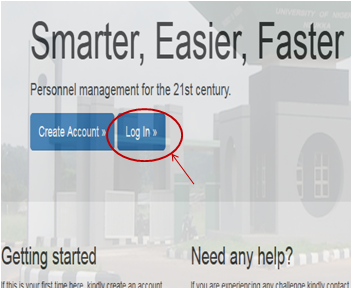 University of Nigeria, Nsukka Appraisal Form | See How to Fill UNN Appraisal Form Online. 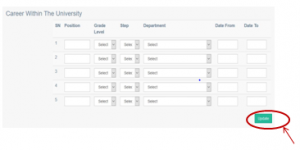 PROCESS FLOW ON HOW TO FILL APPRAISAL FORM ONLINE. 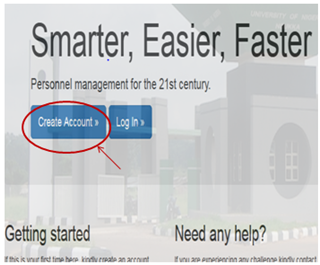 Press the enter key on your keyboard, the home screen will appears as shown below. Click on “Create Account” to create an account as shown above, and the following screen will appear. 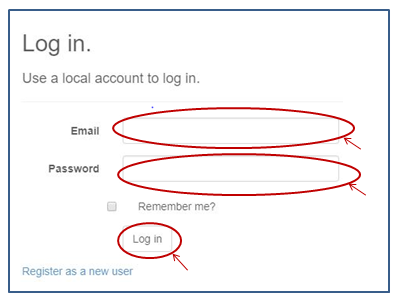 Click on “Log in”, and the following screen will appear. 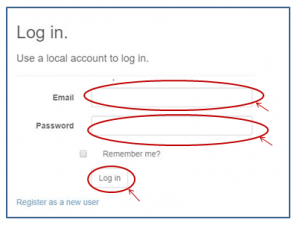 Type in your “Email” and Password in the column circled above (the Email and password must be the same as in the previous step), then click on “Log in”. If successful the user is directed to their profile page. The screen as shown below will appear. 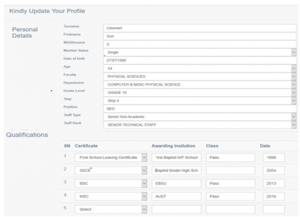 Fill in your “Personal Profile Details” and “Qualifications”. 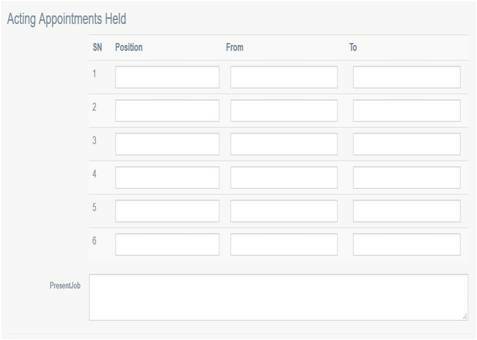 Fill in your “Previous Employment History”. 11. Fill in your “Career Within The University”, then click on “Update” and the following screen will appear. 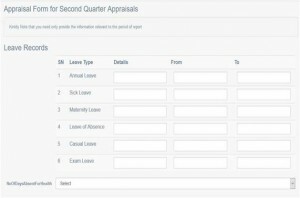 During every appraisal year, the name and duration of the appraisal will show on the above list. 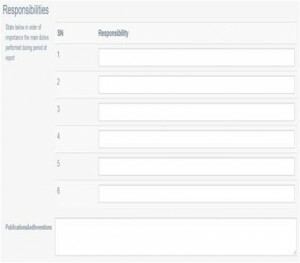 Once an appraisal is deactivated it disappears from the list. 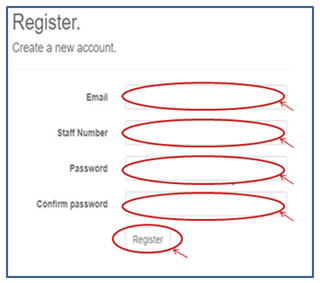 12 Click on “Begin” to select the field that applies to you. 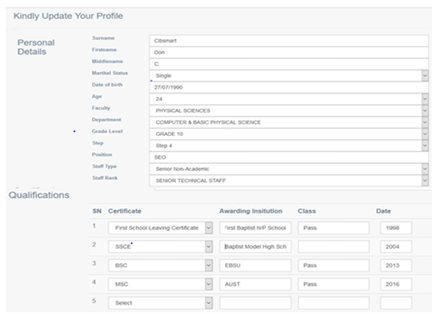 For example, for Senior Non-Academic” as shown above, then the screen as shown below will appear. 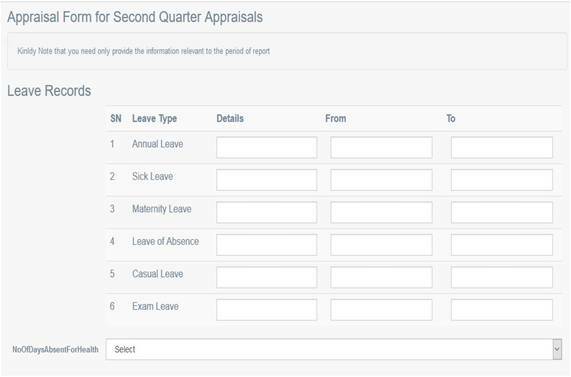 Note: The Appraisal Form is made up of different sections as shown below. 13. 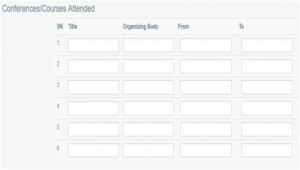 Fills in your leave records and number of absent based on health issues. 14. Fill in the “Title” of the Conference/Courses attended, the ”Organizing Body” and the “Date” of attendance. 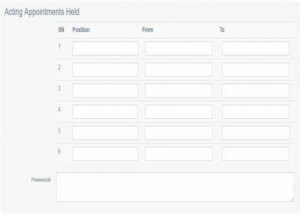 Fill in the “Acting Appiontments Held” in the University Community with date. Fill in the above, the order of importance the main duties performed during period of report. 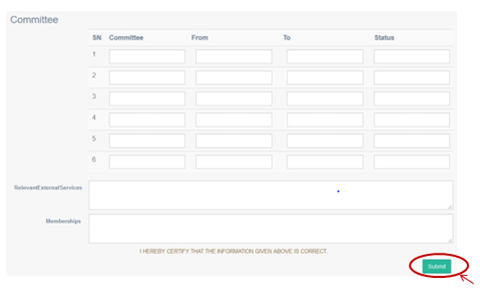 Fill the Committee you belong to in the University. Completion of the above form implies the staff has completed filling of appraisal form. 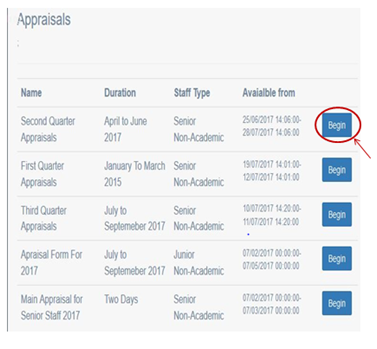 The supervisor receives notification of the completion and goes ahead to appraise such a staff. 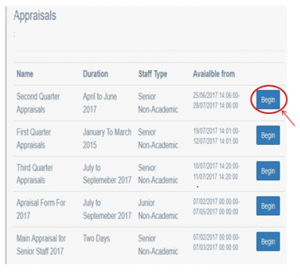 The appraisal score by the supervisor then shows on the staff account for staff’s final comment. 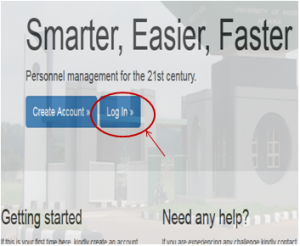 Kindly click on DOWNLOAD to get the offline version.